Gabrielle De Santis Nield is the principal and partner of Nield Law Group with her husband/partner, Edgar R. Nield and has over 35 years of litigation experience. Along with her husband, Ms. Nield has experience litigating life-changing catastrophic injury claims, whether arising out of medical malpractice, automobile, motorcycle, and pedestrian accidents, premises liability, dog bites or wrongful death. Ms. Nield, along with the Nield Law Group team is dedicated to fighting for justice for victims who have suffered from the wrongful actions of others and strive to reach the maximum recovery for those victims. Ms. Nield has a unique perspective and advantage to clients of the Nield Law Group APC, knowing how the insurance companies and their counsel work to mitigate an injured person’s recovery or dispute liability in the first place since she was a former partner in insurance defense firms and a former Assistant Counsel with State Farm Insurance Company. She is respected among her peers, both on the plaintiff and defense side of the aisle. 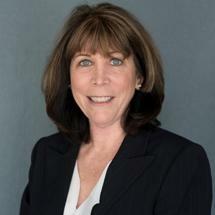 Ms. Nield is also an experienced litigator defending correctional officers and medical personnel for the California Department of Corrections and Rehabilitation who are sued by inmates institutionalized in the California State prisons and has defended former federal prison personnel. Ms. Nield also has experience in maritime defense. Ms. Nield is licensed to practice law in California and the United State District Courts throughout California, as well as the Ninth Circuit Court of Appeals and the Supreme Court of the United States. She is a member of the California Bar Associations as well as the San Diego County Bar Association and North San Diego County Bar Association. Ms. Nield is a member of the Consumer Attorneys of San Diego. Ms. Nield graduated from Loyola Marymount University in 1978 and obtained her Juris Doctorate degree from Southwestern University in Los Angeles in May of 1983 successfully passing the California bar examination the first time around in December of 1983. Gabrielle has tried numerous cases to a jury, participated in hundreds of mediations and arbitrations and is a past arbiter with the San Diego courts. She enjoys working out and spending time with her family and friends. Gabrielle also is involved with non-profit organizations that support parents and mothers who have lost their children.